Department of Art | Kevin Curry's 3D-Foundations class brings home the trophy! 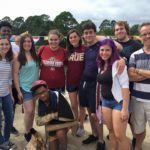 Home » News » Kevin Curry's 3D-Foundations class brings home the trophy! Kevin Curry's 3D-Foundations class brings home the trophy! 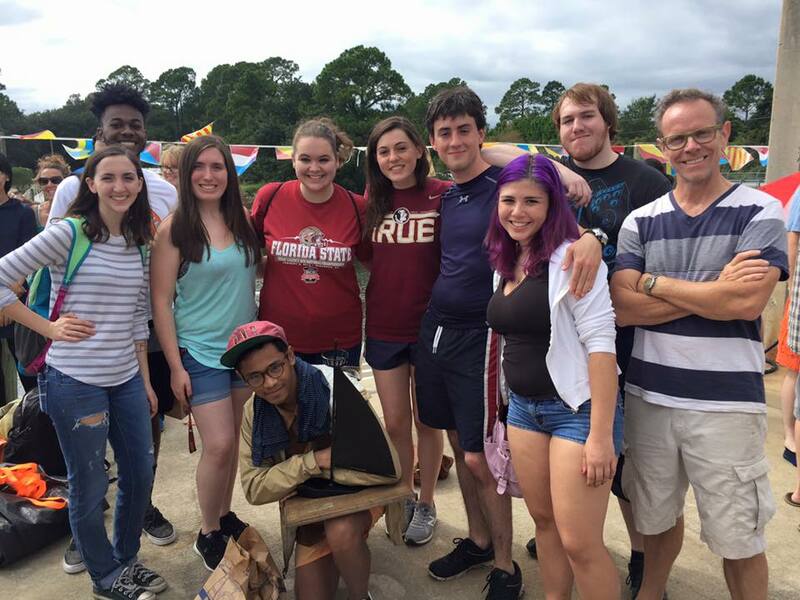 FSU Art’s 3D Foundations students have spent the last month designing and building two vessels for the 4th Annual Regatta at FSU’s Coastal & Marine Lab. 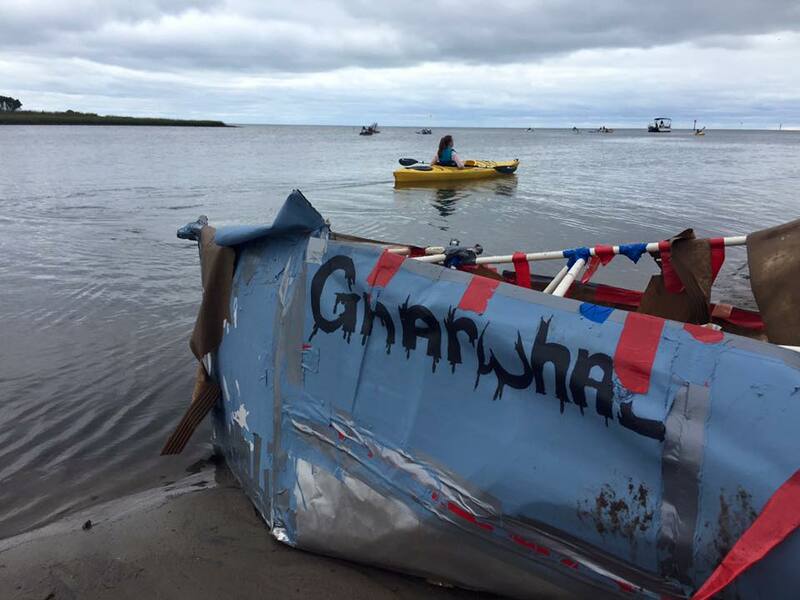 All boats were required to be reconstructed from recycled materials. 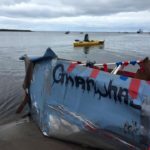 3D Foundations’ team “Hope Floats” were honored with runner-up status and the “Gnarwal” team took home the much coveted “Most Spectacular Failure” trophy. It was a great day and a fantastic opportunity for students to learn about construction, recycling, tool use and boats!